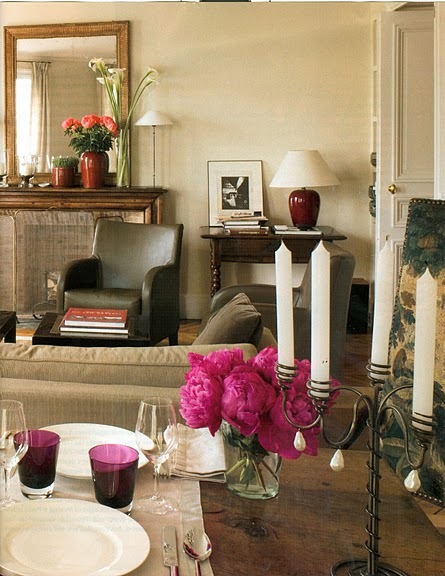 Of course, I have to show you Ina's Paris apartment now that I've shown her other residences. 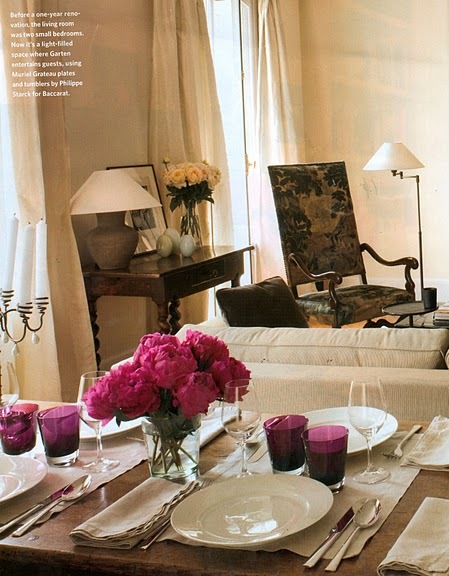 She and her darling husband, Jeffrey, bought the apartment in 2000 and had it renovated to suit their needs. Can you even stand how fabulous it is? Simply perfect in every little detail. The living room was two small bedrooms before the renovation. 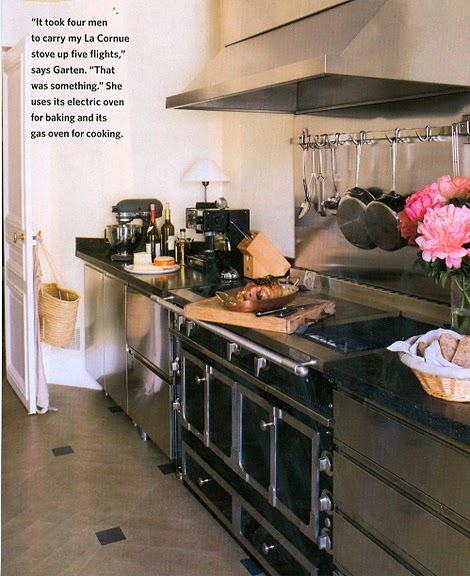 She says that it took four men to carry the La Cornue stove up five flights of stairs. So worth it, Ina! Do you think she'd mind if we stop by for a visit?